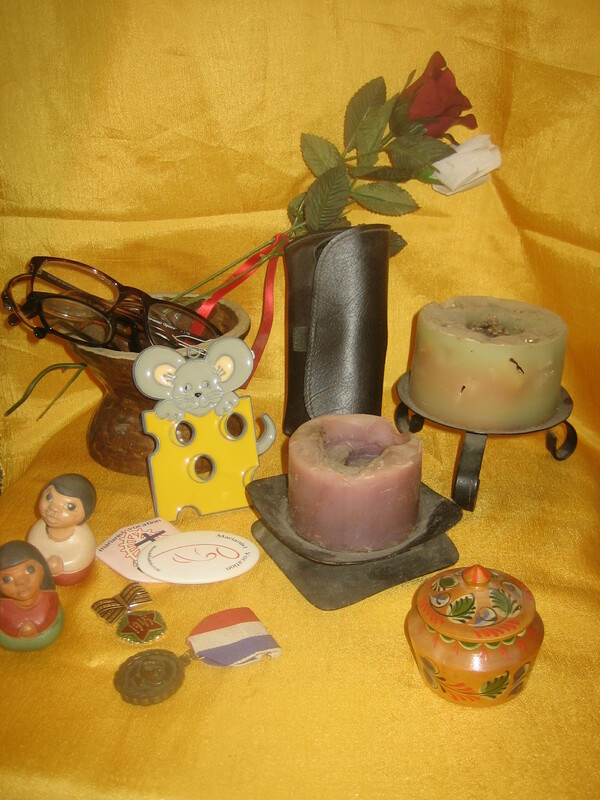 Knick knacks are a source of clutter in many homes – including ours. BUT, they are also a source of memories and that’s what makes it hard to decide what to give away. 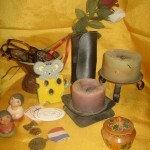 Today’s photo is probably most notable for what is NOT in it as there are probably 10 times the number of items shown. Since Jim and I travel a lot, most of our knick knacks are from foreign countries. They remind us of different cultures and especially the people we met that we may never see again. Should one give away memories or just take a photo of them? Of course then I have to find a way to store the photos so I can find them. Most photos taken during the last decade are on our computers or a flash drive (although the file names may defy easy retrieval). BUT, we still have 19 photo albums (some over 60 years old) neatly stored under a window seat waiting for one of our children to surprise us by converting them all into digital form as a Christmas gift. #1 | Written by pish about 6 years ago. the memory is in our heart rather than the object….let it go…. (ok, keep just one small one)…. #2 | Written by Susan Vogt about 9 years ago. You make a helpful point, Julie. I like the idea of taking digital photos of one’s children’s art then letting it go. #3 | Written by Julie about 9 years ago. #4 | Written by Linda about 9 years ago. A friend of mine has a business helping people purge their possessions, downsize, etc. She has LOTS of customers. One thing she told me about memorabilia. You can take a picture of the items and then you will still have the memories, but not the actual items. I find this hard to do myself. Another hint she gave, especially about those cute things your kids made in school and that you have saved. Save only one or a very few (of the “best” perhaps) and not all of those precious clay whats-its from elementary art class. THIS I have done. None of my 3 children have coming looking for those projects either!